City council designates four problem intersections based on police data; photo enforcement began in 1996. Beware: The same camera catching you running a red light will soon be used to issue tickets for excessive speeding through four intersections in Beaverton. The City Council approved the designation of those four intersections Tuesday, June 19, based on data submitted by police. Enforcement takes effect immediately. • Allen Boulevard and Lombard Avenue, where 10,672 violations of 12 mph and greater over the limit were recorded in 2017. 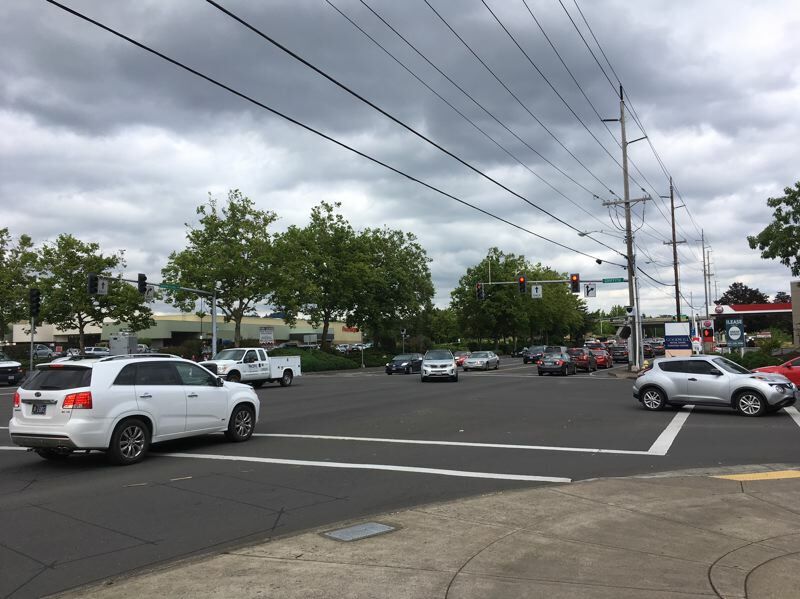 • Beaverton-Hillsdale Highway and Griffith Drive, where 31,417 violations were recorded in 2017. • Cedar Hills Boulevard and Walker Road, where 3,047 violations were recorded in 2017. • Scholls Ferry Road and Hall Boulevard, where 1,819 violations were recorded in 2017. The total violations for all four intersections was 46,955, slightly less than half the 94,862 recorded from mid-2015 to mid-2016. The Oregon Legislature voted in 2017 to allow cities to issue speeding tickets based on the same camera system they use to enforce red-light violations. Beaverton has used photo enforcement since 1996. The law specifies that cities can issue tickets to speeders 11 miles per hour over the posted speed limit on green- or yellow-light phases at intersections, or 21 mph over the speed limit on red lights. According to a 2000 review by the U.S. Department of Transportation, the chances of a serious injury or death for pedestrians increased from 40 percent to 80 percent while a car travels 10 mph over a posted speed limit of 30 mph.